Mobile Apps. Meet your customers where they are — on their smartphones. Today’s smartphone users have come to embrace and expect intuitive, interactive brand experiences — technological touchpoints that allow them to get to the answers they’re seeking quickly and seamlessly. At Trekk, we help our clients harness mobile technologies to create the kind of immersive experiences that lead to conversions and loyalty. Our mobile app development capabilities span iOS, Android, and Windows devices while our applications themselves range from presentation applications and white-label augmented reality apps to productivity, e-commerce, and gamification. 77% of Americans own a smartphone, a number that has grown by more than 100% in the last 8 years. This means the vast majority of people are walking around with devices equipped and waiting for these apps to be delivered directly to them. Because of this, mobile apps are an increasingly great way to establish, maintain, deepen, and even track your relationships with your employees, customers, or prospects. A mobile app provides an opportunity for your audience to engage with you on their schedule and at their comfort level, both how and how often they choose. Whether you’re looking to increase your acquisition, engagement, conversion, retention, or loyalty, mobile apps should do one thing well: solve an existing problem. We recommend apps as part of our clients’ communication strategies only if they will help the end user satisfy a goal more easily and intuitively. While we generally associate mobile apps with consumer communications, there are several strategic B2B application use cases. Internally, a mobile app can aid with talent acquisition, learning management, team collaboration, project management, or CRM and sales tracking. Apps are even becoming powerful employee presentation tools. 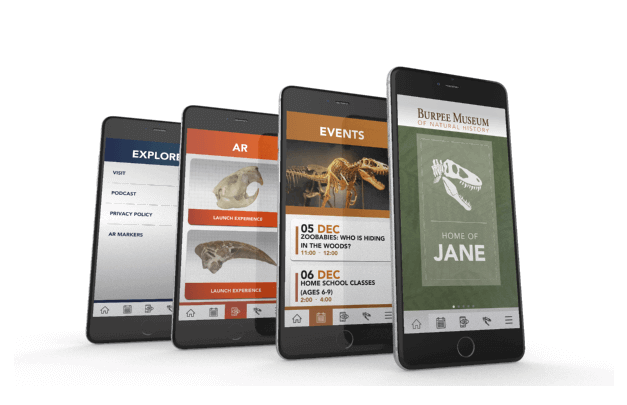 Used with tablets and content-managed websites, mobile apps can allow marketing teams and sales reps to easily build customized interactive presentations that increase engagement and present a consistent message across teams and locations. Sponsoring a booth at a trade show or event? 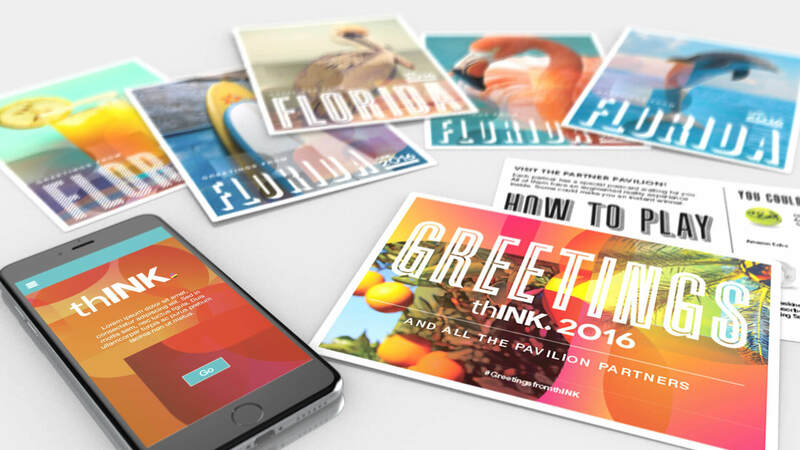 Apps often play a part in our traffic driver campaigns, allowing you to both engage attendees in an interactive way and to capture contact information so that you can follow up with leads post-show. Choosing a mobile app developer that understands your industry, your needs, and your goals is the best thing you can do for the launch of your future mobile app. To get the most utility out of your app and the ROI you’re aiming for, you want a developer who takes the time and attention at every step to do the job right. First, there’s the discovery. Just like with an advertising campaign, a developer should establish who the target market is, who the competitors are, and what problem is solved by the creation of this application. At Trekk, we do this as a team — behind every app we create is a team comprised of a technical developer, a content strategist, a designer, and an account manager. Next comes the UX and UI design. UX is user experience — a good UX makes the app functional and logical. UI is user interface — UI is what makes it look good. 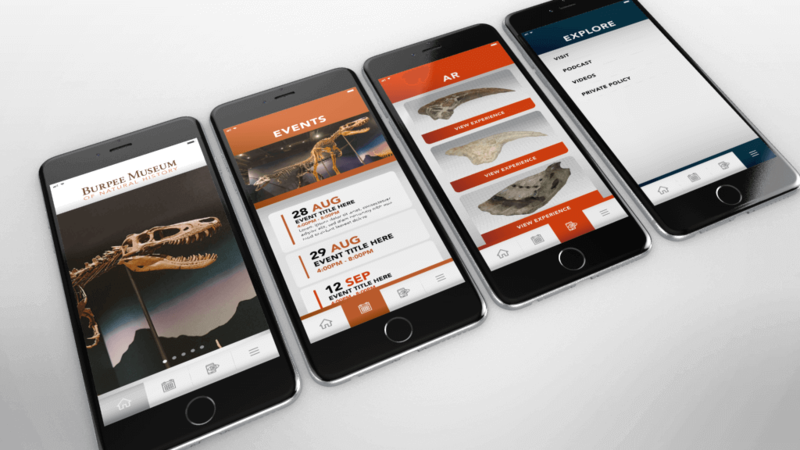 App developers carefully construct wireframes, workflows, style guides, and clickable prototypes to make sure there are no unexpected surprises and that the mobile app is intuitive and flows easily for users. Only once solid plans for UX and UI are in place does the technical developer choose a programming language, create a database structure, and set up ongoing support requirements like hosting. 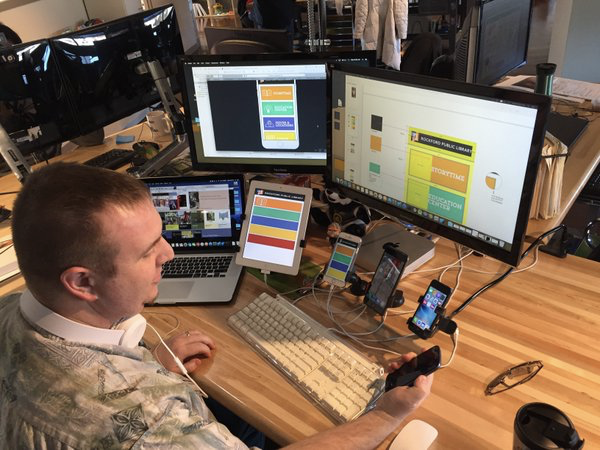 Once the hard work of developing the app is complete, it is finally sent through testing, deployment, and monitoring stages to ensure it runs exactly as intended. 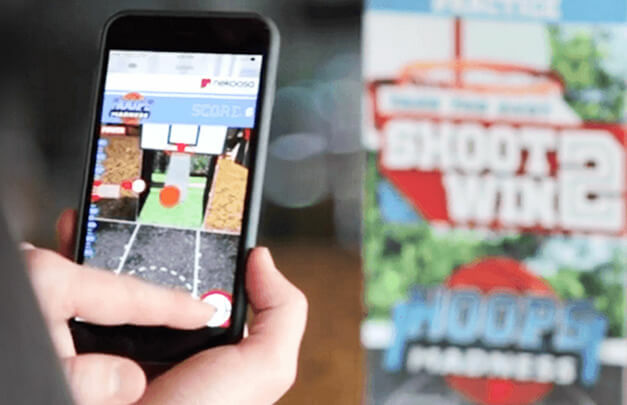 Our developers use Unity, Layar, Wikitude, ARKit, and ARCore to create augmented reality experiences that are launched via branded mobile apps or third-party apps. 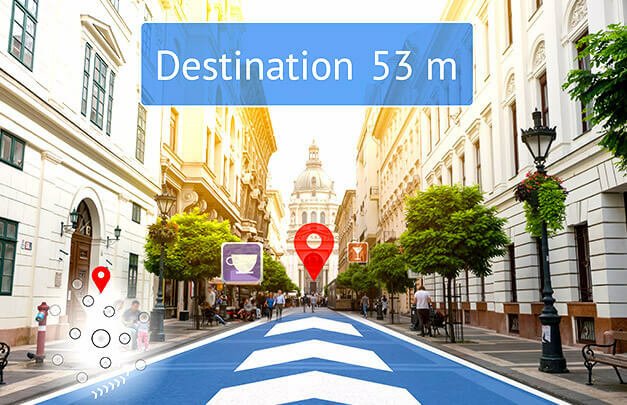 Coupled with a well-designed app, augmented reality can act as a bridge between physical and digital channels, giving you a way to continue customer conversations online. 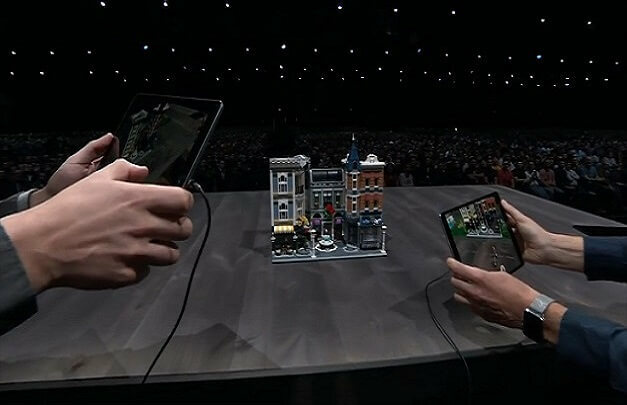 Use an AR app to make your print pieces immersive or to create a virtual 3D product testing environment. Interested in exploring mobile app development? Work with us.